Since chiropractic works directly with your nervous system to restore properly functioning nerve signals to all areas of the body, receiving adjustments when trying to conceive has helped many intended parents to improve the function of their reproductive organs and become pregnant. Additionally, ensuring that patients have a properly functioning nervous system helps to regulate the stress response in the body, which can often delay pregnancy from occurring. Starting or expanding your family can be stressful, particularly if family planning is not going as planned! Patients benefit not just physically but also emotionally under naturopathic care as our visits allow adequate time for questions, education and understanding of the body and its process. Thorough analysis of hormone levels, immune function, nutrition and lifestyle are all taken into account when developing an individualized treatment plan to assist in either natural or assisted conception. Botanical medicine can be used along with acupuncture and nutritional amendments to help regulate hormone cycles and help address any underlying cause of disturbance and promote healthy pregnancies. Acupuncture and dietary modification are particularly beneficial when using assisted reproduction techniques and are promoted by many medical fertility clinics in Toronto. The experience of infertility can be heartbreaking, lonely, frustrating, overwhelming, and exhausting. Whether you are heterosexual, LGBTQ, single, a couple wanting to be parents, or a couple facing secondary infertility, the struggle to conceive a child can be all-consuming, leaving you feeling your life is stuck on hold. Therapy can provide confidential emotional support. A series of therapy sessions can help you develop coping strategies, take care of yourself and your relationship, manage painful social gatherings, cope with monthly appointments and procedures, and find balance in your life. Infertility can be stressful on your relationship. You and your partner/spouse may have different ways of processing the experience. Couples counselling provides a safe space to share your feelings and emotions. Therapy is an effective way to mediate differing opinions about treatment options and alternatives. Working together, you will develop healthy strategies to make decisions, handle stress, deal with the disruptions of fertility treatments, manage financial costs, and renew intimacy. Psychotherapy complement and enhance care provided by other health care providers including your naturopath, chiropractor, family doctor, OB/GYN, reproductive endocrinologist, and fertility specialist. Pregnancy is an incredibly vital time in a woman's life. Through chiropractic care, naturopathy and massage, we strive to help all expecting mothers to understand and enjoy this incredible time as much as possible. Please read our testimonials to learn why many of our expectant patients value their regular care so much to keep them feeling balanced, more comfortable and happy throughout their pregnancies. It is our mission to ensure that pregnant women feel empowered, educated and well taken care of at our office. Safe naturopathic treatment options are available for acute care and ongoing health maintenance in all phases of pregnancy. Being a time of great change, treatments are based on patient need and may include mitigating symptoms such as morning (or day) sickness, water retention or carpal tunnel. Patients are also educated on optimal nutrition, supplementation and labour preparation to ensure the body is best equipped to recover effectively and transition into motherhood. Chiropractic care during pregnancy creates and maintains balance and alignment in the spine and pelvis as the mother and baby grow and develop. This helps the baby to assume its optimal birthing position and provides a more comfortable pregnancy and delivery for both mother and baby. Stimulation of the nervous system enables proper functioning of reproductive organs to support the needs of the growing baby throughout pregnancy and during the delivery process. The Webster Technique is a specific chiropractic analysis and adjustment that reduces interference to the nerve system and facilitates biomechanical balance in pelvic structures, muscles and ligaments. This technique has been shown to reduce the effects of intrauterine constraint, allowing the baby to assume the best possible position for birth. Dr. Wise’s adjusting techniques and evaluation methods are appropriate and gentle for people of all ages and can be adapted as needed for pregnancy. Chiropractic care, naturopathic consultations and massage are also invaluable services to help you transition back to your pre-pregnancy state. We can help you navigate through the many rewards and challenges that come along with being a new mom. Postnatal care helps mom adjust to the new postural and positional demands of caring for an infant. It can also aid in recovery from biomechanical adaptations experienced during pregnancy. 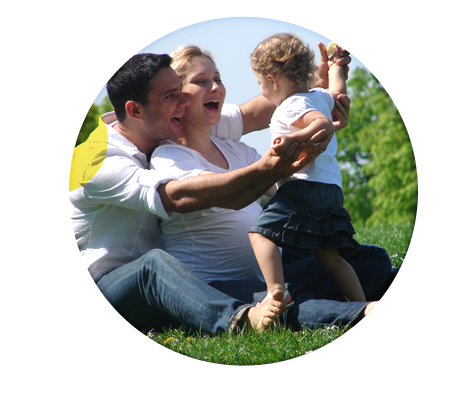 Naturopathic care is often essential for families in the postnatal period. In the immediate period after delivery healing can be assisted using naturopathic modalities. Support for sleep cycles, stress reduction and immune function optimization can all be of huge help to adjusting families. Pregnancy and the postpartum period are times of significant life transition that may be filled with happiness, joy, and wonder. At the same time, pregnancy and parenting can trigger mental, physical, and emotional imbalances that can leave you feeling irritable, angry, afraid, sad, overwhelmed, and exhausted. These feelings can be hard to understand and difficult to manage. Counselling and psychotherapy can provide you with the tools you need to respond to these challenges. During therapy, I create a safe space to explore issues, learn effective coping skills, and enable you to feel better. I offer help and support for women and couples struggling with issues related to prenatal or postpartum depression and anxiety, scary thoughts, traumatic birth experience, attachment and bonding, the transition to parenting, adjusting to more than one child, relationship or marital stress, stress, burnout, and self-care, and LGBTQ pregnancy and parenting. Pregnancy loss and infant death is sudden and unexpected, overwhelming and devastating. The loss may feel unbearable. You might feel shocked, numb, angry, sad, helpless, fatigued, and lonely. It may be difficult to concentrate and complete daily activities. Therapy offers personalized, compassionate, and non-judgmental support for you to grieve an early miscarriage, ectopic pregnancy, late miscarriage, medical termination, stillbirth, or infant death. In therapy, you can process your feelings and emotions, develop coping skills, learn to manage holidays and anniversaries, and re-establish balance in your life. You and your partner may process grief in different ways. Couples counselling can help you support each other in your experience so that you stay connected. Working together, you will develop healthy ways to communicate with each other as well as family members and friends. It is important to us that your precious child is well taken care of from day one. Again, we aim to provide new parents with the tools and information they need to care for the newest member of the family and maximize the health of growing children. This new life also deserves to start out with an optimally functioning cranial/spinal system protecting the delicate tissue it surrounds. Even a natural birth can put a great amount of stress on the newborn spine and nervous system. Having a thorough chiropractic check-up early on ensures detection and removal of subluxations caused by birth trauma. In fact, it is common to find chiropractors in hospital in order to check all newborns for imbalances. This is of particular importance if your baby experienced a breech presentation, forceps or vacuum delivery, shoulder dystocia, cesarian section, extended labour and delivery or colic. Safety and comfort are always the top priorities for you and your child during care. Dr. Wise uses specific analysis and specialized adjustments for the unique needs during pregnancy, infancy and childhood. Infant adjustment use such light force that many babies sleep right through their adjustments. 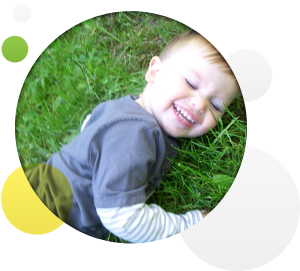 Babies are young, sensitive and vital and so do very well under naturopathic care. Care is given specific to the birth and health history of your child and is specialized to the needs of you and your family. The remedies used by Dr. Heins are both gentle and effective so commonly cherished by parents when caring for infants and children. Commonly treated infant concerns include: correcting digestive concerns like colic, cradle cap, eczema, diaper rash and thrush, food introduction assistance. In children naturopathy can be used to help treat both acute illness such as cold or flu as well as chronic concerns like repetitive ear infections, rashes such as eczema, asthma or digestive concerns.